The innovative breakthrough in stall cleaning has finally arrived! Clean stalls with ease using the made in the USA Wave Fork! The True American line is designed for consumers who want American-made, durable tools with high-quality features. 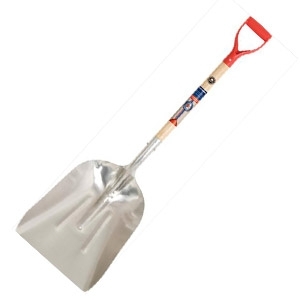 This lightweight aluminum scoop is perfect for moving and scooping grain, seed, feed, fertilizers, and other granulated materials. 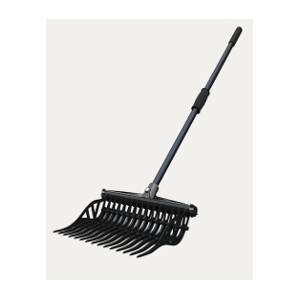 It's also a useful and versatile garden tool sturdy enough for general clean-up or for moving mulch, sand, or soil. 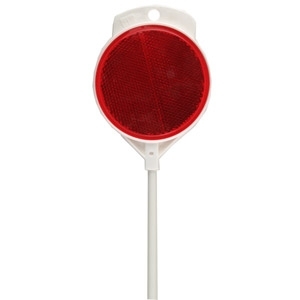 Red plastic driveway marker, 48". 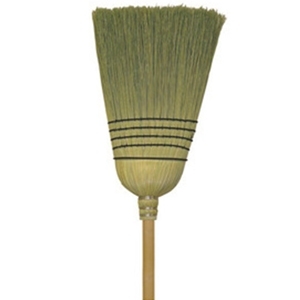 Natural broomcorn has hair-like follicles that trap and hold dust particles. Water resistant and long lasting. The Tarter 1-Piece Economy Bunk Feeder is a lightweight, easy-to-move bunk feeder. 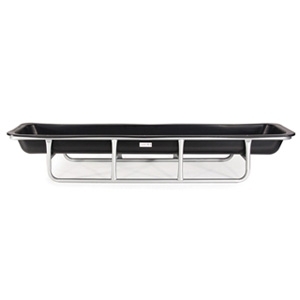 Featuring a tough, steel welded frame with durable poly liner made from 100% recycled materials. 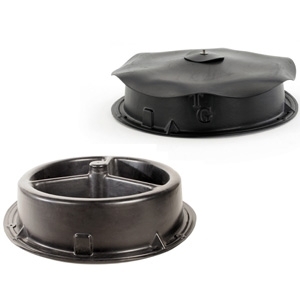 This feeder is perfect for feeding smaller livestock under 600 lbs. 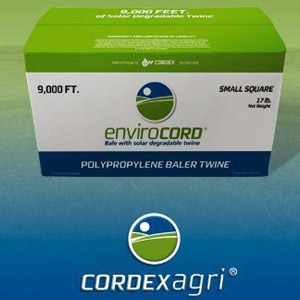 Ideal for feeding mineral to livestock in all weather conditions. Heavy-enough to withstand animals and the elements but light enough to move to any location. Low profile helps prevent tipping or spilling of valuable minerals. Convenient anchoring holes make it easy to secure these mineral feeders to the ground preventing animals from moving it. The Tarter 2 Piece Heavy Duty Slant Bar Cattle Hay Feeder is perfect for feeding round hay bales to cattle. This 45-inch tall hay feeder features a super duty round end post brace with three bolt connections for superior strength and solid assembly. 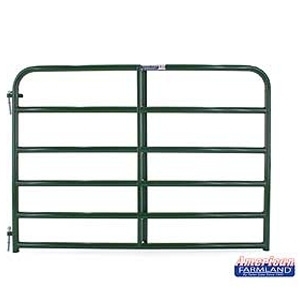 The 8-foot diameter accommodates large bales, and the welded slats provide extra strength. 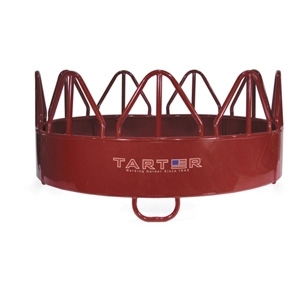 The Tarter 3-Piece Horse or Horned Cattle Hay Feeder is specifically designed extra strong with animal safety in mind. 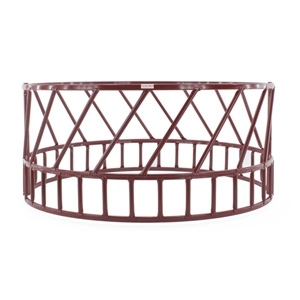 This feeder features round smooth edges and is 8 ft. in diameter with 1-3/4 inch round tubing. Its top height of 50 inches allows your taller livestock to maintain a natural, easy feeding posture. The Tarter 3-Piece Horse or Horned Cattle Hay Feeder is made with a red powder coat finish that withstands the elements, and sturdy bottom loop legs that withstand your animals. 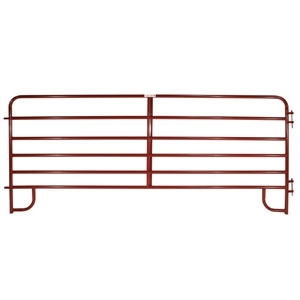 Ideal for light-to-medium confinement of livestock in round pens and working areas. Available in-store in Red or Green. 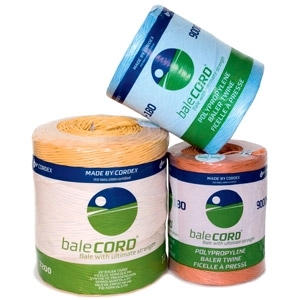 Developed as an alternative to sisal baling twine. Waterproof and odorless. Starts to degrade after 3 months of solar exposure. Sisal is a natural, biodegradable product. Safe feeding of cattle. Available in Green only.